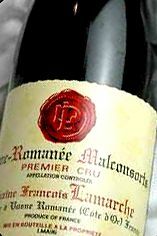 There is real intensity to the nose of this Les Malconsorts, with black and red fruit vying for ascendancy. Perfumed and harmonious, even the tannins seem to taste of fruit. With Nicole Lamarche firmly in charge, the domaine has converted to organic farming, and the recipe in the cellar this year was for a long vinification but less extraction. The wines have spent twelve months in barrel (with 30% new wood for the village wine and up to 60% for Grand Crus) before being transferred to vat. Sadly, many of the Vosne-Romanée vines here did not make it through the winter, so there is no village wine this year for us in 2010. Otherwise, expect attractive wines in 2010 with excellent typicity. Domaine Lamarche produces 14 different wines, including la Grande Rue, a monopole of the estate and one of the rare grands crus of Vosne-Romanée. The vineyards lie half way between Dijon, between the Clos de Vougeot and Nuits Saint Georges, Vosne-Romanée. From a 'geological' point of view, the grands crus lie on oolite in ferruginous limestone soils - with stony, rocky or clay-marl subsoil - which give full-bodied, well-structured wines, deep in colour and with greater ageing capacity. The Vosne-Romanée AOC vineyards are planted on deeper, clay-limestone soils and produce lighter wines, with more subtle aromas, and which develop more quickly. Domaine Lamarche, which now covers a total surface area of nearly 28 acres, is a family firm, whose origin goes back several generations. Ancestors of the Lamarche family were already established in the village of Vosne-Romanée in around 1740. Since the end of the 19th century (for five generations), the estate has grown bigger over the years: Henri Lamarche founded the estate at the beginning of the 20th century. 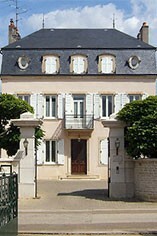 Their son, Henri Lamarche, born in 1903, took over the estate. He inherited la Grande Rue in 1933, the year of his marriage to Aline Demur (la Grande Rue would become a grand cru in 1992). The Domaine has been evolving with the arrival of the new generation of cousins Nathalie and Nicole, taking over from François Lamarche, aided by wife Marie-Blanche and sister Geneviève.François is the grandson of the original Henri Lamarche and son of the second Henri Lamarche who received La Grande Rue as a wedding present. As well as more meticulous work in the vineyards, better barrel selection and a new cuverie (since 2000) have combined to make this a more consistent domaine. I have had spectacular bottles from Lamarche, but there have certainly been some failures too. Perhaps the new generation will confirm a regular place for Domaine Lamarche at the top table. Jasper Morris MW, Burgundy Wine Director and author of the award-winning Inside Burgundy comprehensive handbook. Pinot Noir is probably the most frustrating, and at times infuriating, wine grape in the world. However when it is successful, it can produce some of the most sublime wines known to man. This thin-skinned grape which grows in small, tight bunches performs well on well-drained, deepish limestone based subsoils as are found on Burgundy's Côte d'Or. Pinot Noir is more susceptible than other varieties to over cropping - concentration and varietal character disappear rapidly if yields are excessive and yields as little as 25hl/ha are the norm for some climats of the Côte d`Or. Because of the thinness of the skins, Pinot Noir wines are lighter in colour, body and tannins. 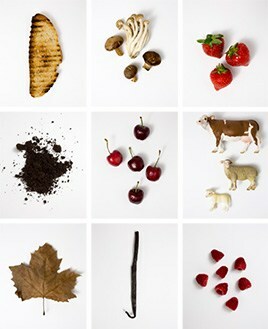 However the best wines have grip, complexity and an intensity of fruit seldom found in wine from other grapes. Young Pinot Noir can smell almost sweet, redolent with freshly crushed raspberries, cherries and redcurrants. When mature, the best wines develop a sensuous, silky mouth feel with the fruit flavours deepening and gamey "sous-bois" nuances emerging. The best examples are still found in Burgundy, although Pinot Noir`s key role in Champagne should not be forgotten. It is grown throughout the world with notable success in the Carneros and Russian River Valley districts of California, and the Martinborough and Central Otago regions of New Zealand. The small commune of Vosne-Romanée is the Côte de Nuits’ brightest star, producing the finest and most expensive Pinot Noir wines in the world.. Its wines have an extraordinary intensity of fruit which manages to combine power and finesse more magically than in any other part of the Côte d’Or. The best examples balance extraordinary depth and richness with elegance and breeding. Situated just north of Nuits-St Georges, Vosne-Romanée boasts eight Grand Cru vineyards, three of which include the suffix Romanée, to which the village of Vosne appended its name in 1866. The famous La Romanée vineyard was formerly known as Le Cloux but was renamed in 1651, presumably after the Roman remains found nearby. In 1760 the property was bought by Prince de Conti, and subsequently became known as Romanée-Conti. Vosne is the home of the phenomenally fine wines of Domaine de la Romanée-Conti; divine wines that are, as they say, not for everyone but for those who can afford them. The region also boasts some of the world’s most talented, quality-conscious and pioneering producers: Domaine de la Romanée-Conti of course, but also Henri Jayer, Lalou Bize-Leroy, René Engel, as well as the Grivot and Gros families, to name but a few. Vosne-Romanée has the greatest concentration of top vineyards in the Côte d’Or, including the tiny Grand Crus of the astonishing La Romanée-Conti (a monopoly of Domaine de la Romanée-Conti producing about 600 cases a year), the classy, complex La Romanée (a monopoly of Vicomte Liger-Belair, but until 2002 bottled under Bouchard Père et Fils, producing a minuscule 300 cases or so a year) and the little-known La Grande Rue. As the name suggests, this runs up the side of the road out of Vosne. Originally a Premier Cru, it was rightly upgraded in 1992, although its rich, spicy, floral Pinots are yet to reach their real potential under Domaine Lamarche who hold it as a monopoly. By convention the wines of neighbouring Flagey-Echézeaux are considered part of Vosne-Romanée. These include the large, very variable 30-hectare Echézeaux (divided between 84 different growers) and the more consistent, silky, intense, violet-scented Grands Echézeaux Grands Crus. La Tâche is another monopoly of Domaine de la Romanée-Conti. It is explosively seductive with a peerless finesse, and is almost as good as their legendary eponymous wine. Richebourg is one of Burgundy’s most voluptuous wines and is capable of challenging La Tâche in some years, while Romanée-St Vivant, which takes its name from the monastery of St Vivant built around 900AD in Vergy, has a lovely silky finesse but is slightly less powerful. If that wasn’t enough, Vosne-Romanée also boasts some absolutely magnificent Premiers Crus headed by Clos des Réas, Les Malconsorts (just south of La Tâche, and arguably of Grand Cru quality) and Les Chaumes on the Nuits-St Georges side, Cros Parantoux (made famous by Henri Jayer), Les Beaux Monts and Les Suchots on the Flagey-Echézeaux border. The old maxim that ‘there are no common wines in Vosne-Romanée’ may not be strictly true, but it is not far off. Drinking dates vary, but as a general rule of thumb Grand Crus are best drunk from at least 10 to 25 years, while Premier Crus can be enjoyed from 8 to 20 years, and village wines from 5 to 12 years. There are no white wines produced in Vosne-Romanée. 99 hectares of village Vosne-Romanée. 56 hectares of Premier Cru vineyards (14 in all). Foremost vineyards include Les Gaudichots, Les Malconsorts, Cros Parentoux, Les Suchots, Les Beauxmonts, En Orveaux and Les Reignots. 75 hectares of Grand Cru vineyards: Romanée-Conti, La Romanée, La Tache, Richebourg, Romanée St Vivant, La Grande Rue, Grands Echézeaux, Echézeaux. Recommended producers: Domaine de la Romanée Conti, Leroy, Cathiard, Engel, Rouget, Grivot, Liger Belair.